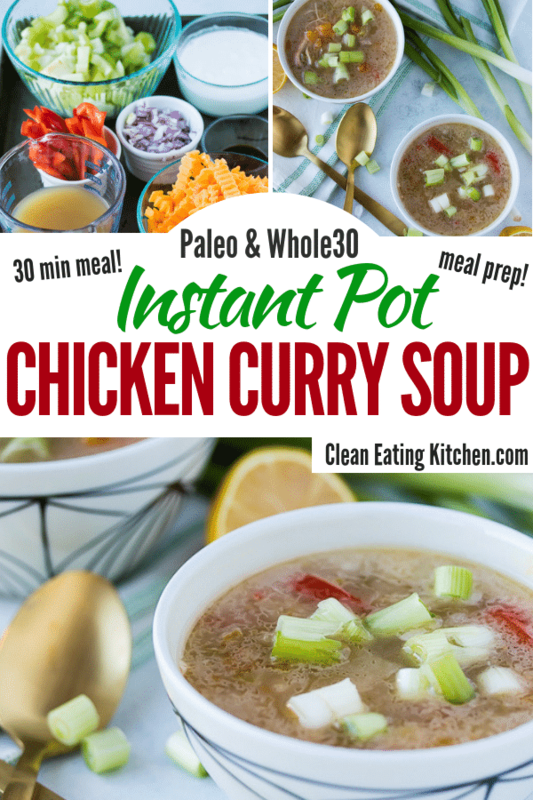 This Instant Pot Chicken Curry Soup is a delicious, easy recipe that is perfect for paleo, Whole30 and gluten-free diets. Did you score a new Instant Pot this year? I saw that there were a few models just released, so which one did you get? Let me know in the comments, I’m so curious! Meanwhile, I’m pretty happy with my 3-quart and 6-quart models, I have this line. I use the 6-quart for main dishes and the 3-quart for side dishes or smaller recipes. I don’t meal prep in the strict sense where I devote my entire Sunday to making foods for the week, but I do a more casual version where I cook about every other day. Thankfully, I don’t mind eating the same thing for days on end, and my husband is okay with leftovers, too. This Instant Pot Chicken Curry that I’m sharing with you today is perfect as a meal prep option. It’s an absolute perfect lunch dish, and you can fill it out a bit more with cooked rice noodles or white rice to make it hearty enough for dinner (use cauliflower rice if you’re doing strict paleo or Whole30). I like to saute the chicken before cooking it to give it extra flavor, and the Instant Pot makes it so easy to do just that. Use the saute button and add some avocado oil. I also recommend adding the onion for a quick saute, too. If you need more liquid when you’re sautéing the chicken and onion, just add a splash of your chicken broth. Then, you essentially just add the vegetables and the rest of the broth and let the Instant Pot work its magic. After 14 minutes of cooking time, you can then remove the lid and add the coconut cream, coconut aminos, and coconut sugar. This recipe re-heats beautifully, too, which makes it a perfect meal prep dish. I topped the curry with sliced green onions for extra flavor and texture. 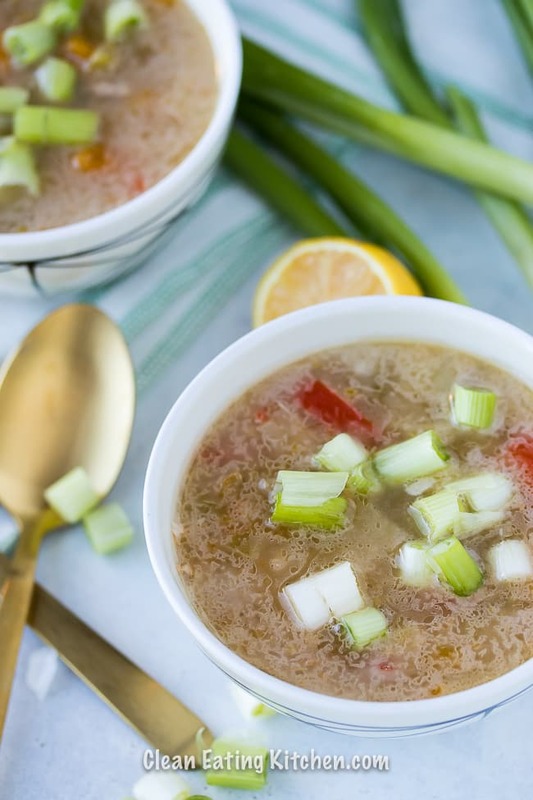 I love this soup so much! It has a strong coconut flavor, which I love, and the chicken and squash just make it so hearty and comforting. Add the oil to the Instant Pot and push the sauté button. Let the oil heat up for 1-2 minutes and add the chicken to the pot. Use a wooden spoon or spatula to move the chicken around so it doesn’t burn. Add the onion and green curry paste to the pot, along with a splash of the chicken broth to prevent burning. After the chicken and onion have cooked for about two minutes, cancel the sauté function. Next, add the rest of the chicken broth, bell pepper, celery, and squash to the pot and stir to combine. Lock on the lid and push the button to pressure cook on high. Set the timer to 14 minutes. After the cooking time is complete, release the pressure naturally or use the quick-release. Stir in the coconut cream, coconut sugar, and coconut aminos. Serve hot, with a squeeze of fresh lemon or lime, if desired. 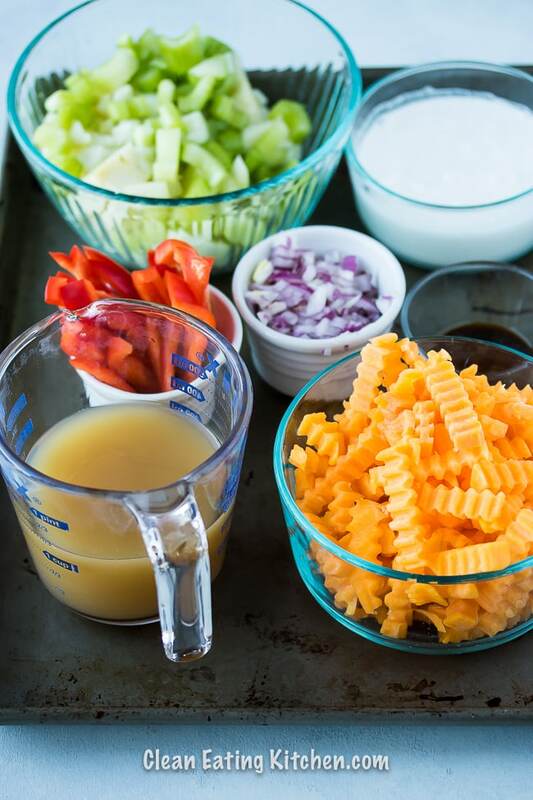 Serve the soup with cooked white rice, rice noodles, or cauliflower rice, if desired. Be sure to pin this recipe to your favorite Pinterest board to save it for later! 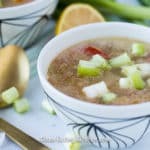 One of my favorite Instant Pot meals! looks so simple and healthy. Will be trying this in my instant pot today! I need to use my crock pot more, so this looks perfect! The crinkle cut butternut squash is adorable too. This sounds delicious! 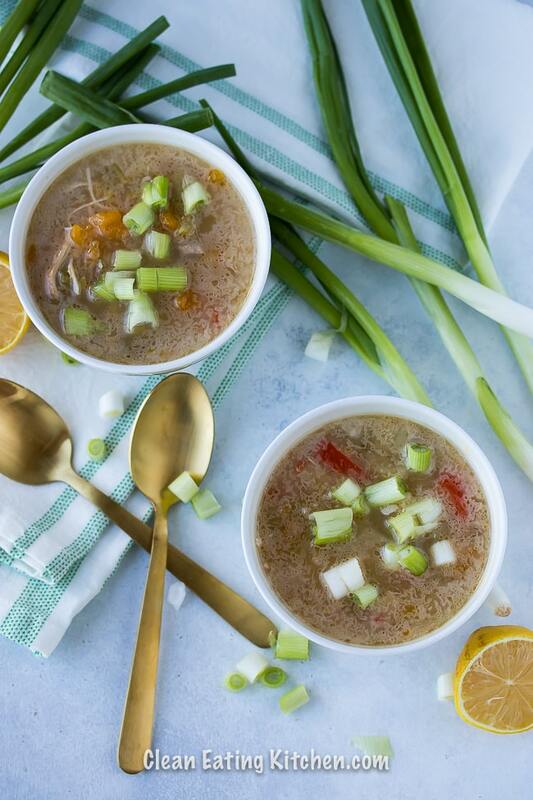 I can never get enough Instant Pot recipes, especially for different soups this time of year. This looks delicious! Can’t wait to try it this week. This chicken curry soup looks like the perfect thing to come home to on a cold winter day. I can’t wait to make this for my family. I made this last night and it was a hit with everyone in my family! Delish and very easy to throw together! e will definitely make this again!